So began J.R.R. Tolkien's book, 'The Hobbit'. 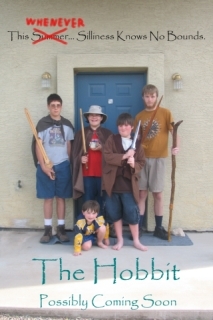 In 2005, (July I think it was,) my friend Heather came up with an idea. This idea that she thought of, what might it be, you ask? 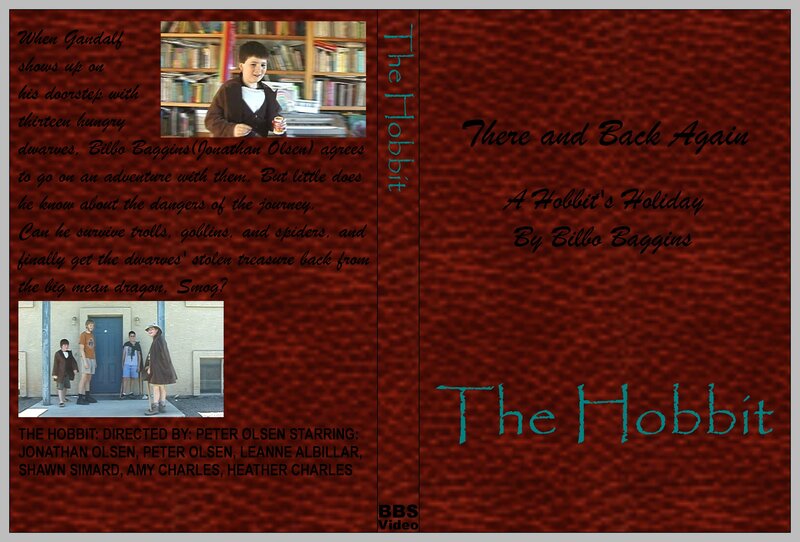 Well, she thought we could make a film parody of The Hobbit. So I got my dad's camera and started filming. Then two more of my friends joined in. Unfortunately, Heather and her sister moved away, leaving us with just four actors to play every role. But we pressed on, and filming was completed in January 2008. Editing and all that took another six months, and the final release happened in June. The whole movie is 3 hours and 29 minutes long. 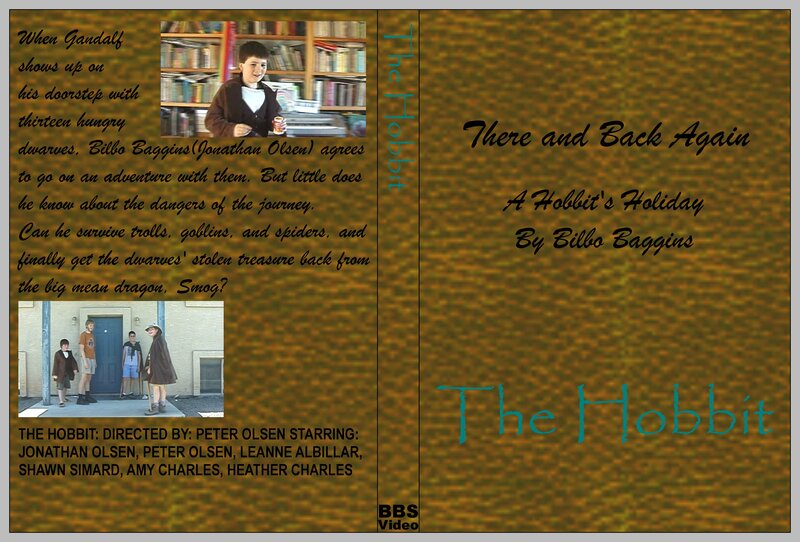 I also have some DVD covers that you can download and print out, if you are so inclined.